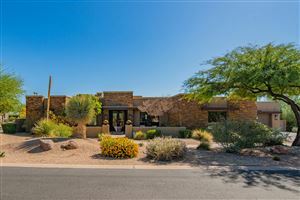 Pinnacle Peak Place is a 124-acre gated community located on the East side of Pima Road, West of Desert Highlands. Pinnacle Peak Place includes 80 custom and semi-custom homesites. Approx. 45-acres is open space and includes a public trail. Various builders have completed homes in Pinnacle Peak Place, including Geoffrey H Edmunds, K Hovnanian, Greager Custom Homes, and Cambric Homes. Custom homesites are available. See all Pinnacle Peak Place - Desert Highlands.